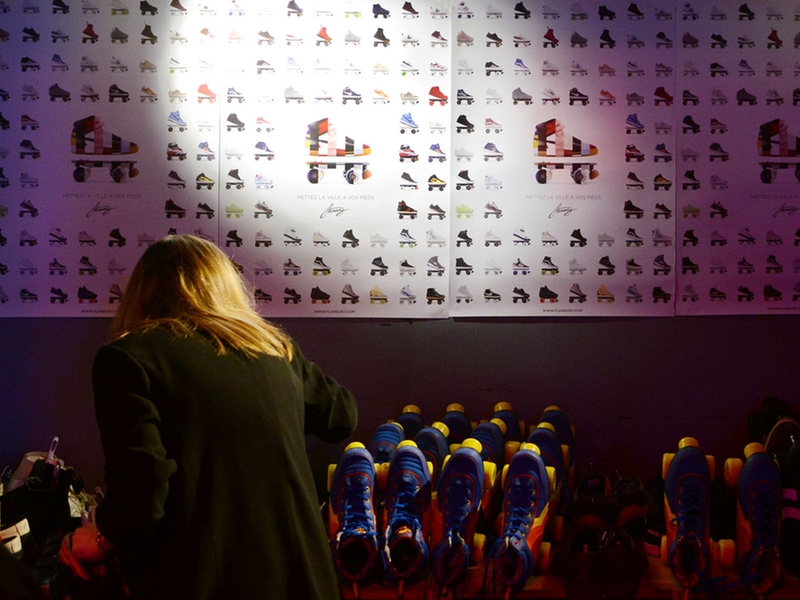 Roller skating is present in the Parisian nights! 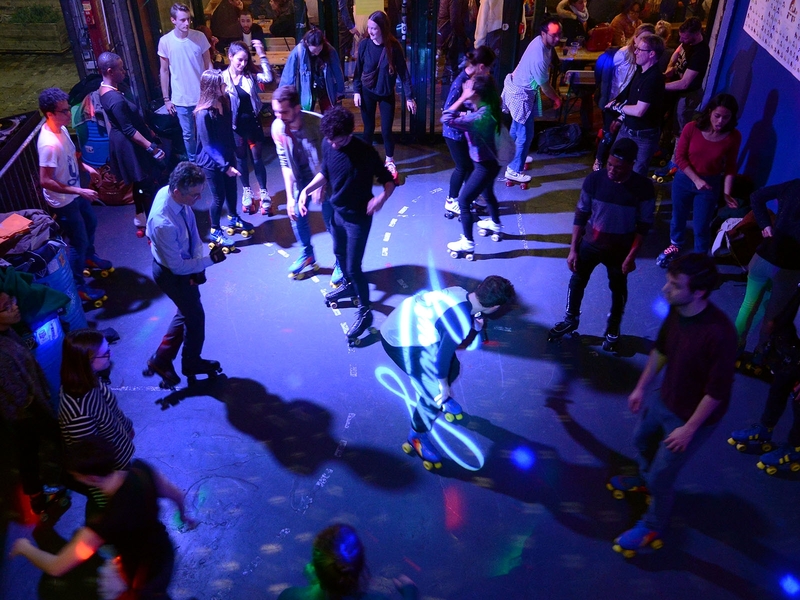 Emblematic of quad evolution, Flaneurz organized a Roller Funk Party with Point Ephémère on Thursday 7th of february. Point Ephémère is a "dynamic and artistic center" rich in atypical discoveries and experiences. It’s an hybrid Parisian culture place. This place was born thanks to the Usine Éphémère, an association that invests industrial wastelands to transform them into living spaces. Point Éphémère supports creation and local associations by taking part in multiple artistic, cinematographic and musical projects. 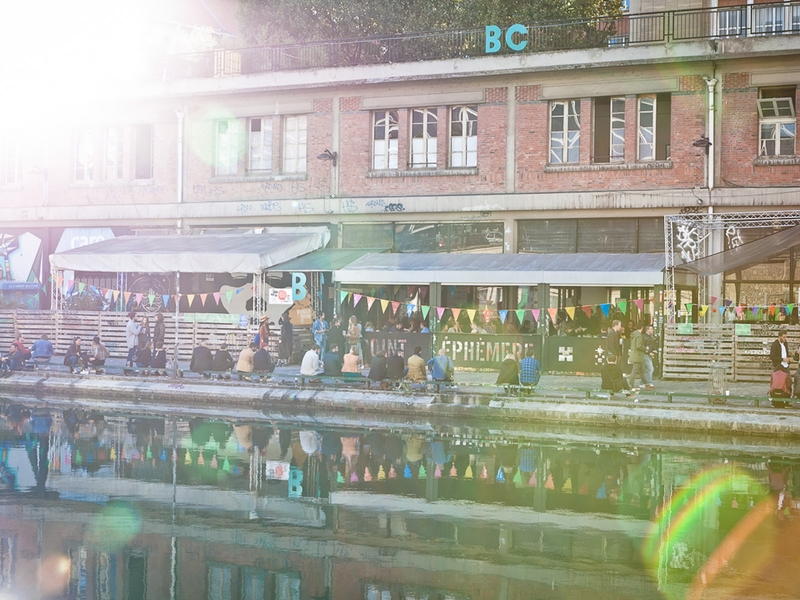 At the border of the 10th and 19th Parisian districts, Point Ephémère cultivates the "popular soul" of the first one as well as the "trendy urban renewal" of the second one. Flaneurz shares these values too. How to come to Point Ephémère? An evening placed the 70's roller skating spirit! From 6 p.m, the forty people registered in the workshop joined us at Point Ephémère with the art of rollerblading discovering aim. This initiation led by Florian has allowed Pauline among others to apprehend skating in an attractive way: "The dance class is a good way to get used to the skates, the workshop is very playful and is perfect for beginners". After the Rock at La Recyclerie and the R'n'B at La Montgolfière, it's the Funk that we have put in the spotlight. You have discovered the world of JB Skating, inspired by James Brown or Parliament. This Thursday, our ambassadors Poupa, Laurence and Jean-Marc were by your side. Links have been created. 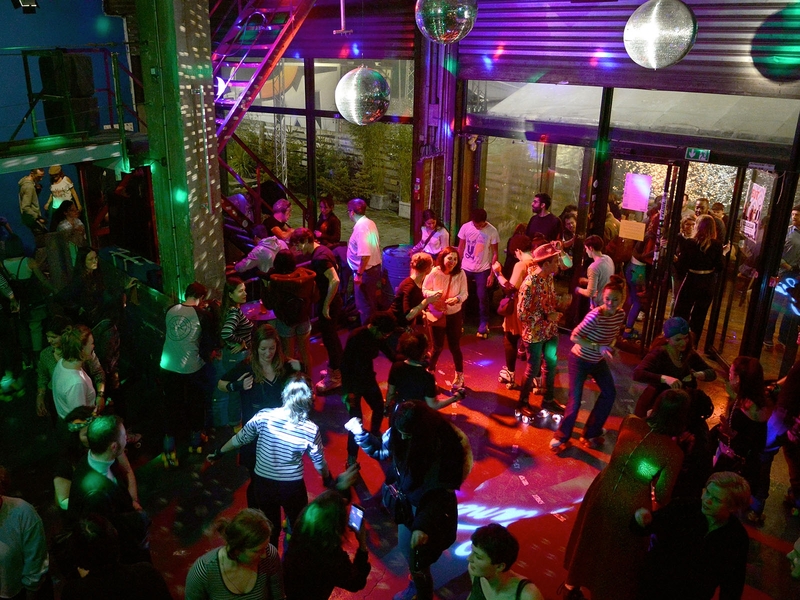 As Laure, you let yourself be seized by the 70’s energy: "I love this atmosphere, it's friendly and the Flaneurz Clique is always smiling and available". Whether you have danced, whirled or hesitated during your first steps, you made us dream on this beautiful night at Point Ephémère. Let yourself get carried away by the most funky rhythms and shine with us. Follow the community's adventures on social networks (Facebook, Instagram and LinkedIn) or with our newsletter.